Refugee wannabe wants more time. eight-centimetres thick, an immigration hearing was told Tuesday. Quaid’s Vancouver lawyer, Catherine Sas, said the number of pages is growing so rapidly she can’t keep up. “The government’s disclosure has been voluminous,” said Sas. 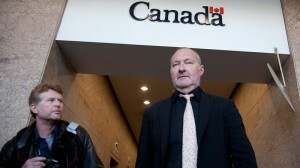 charges the American actor is facing in the U.S.
“serious criminality” outside of Canada. acting for the Canadian government’s Ministry of Public Safety. get him and his wife, Evi Quaid. Outside the hearing, Evi Quaid claimed a “murderous” U.S. lawyer is out to “kill” them. plan in Canada if the Quaids were allowed to stay. another month to prepare his case. “It’s not our first Christmas in Vancouver. I’m looking forward to it,” Quaid beamed. The parties are to attend a scheduling conference on Dec. 22. “Also known as the Festival of Sacrifice, or the Greater Eid, Eid al-Adha commemorates Abraham’s willingness to submit to Allah’s command to sacrifice his son. When he prepared to do it, Allah revealed to Abraham that his ‘sacrifice’ had already been fulfilled, and replaced his son with a lamb. “Eid al-Adha is marked by special prayers, visits with family and friends, the exchange of greetings and gifts and the sharing of food with those in need. “For all Canadians, regardless of their backgrounds, Eid al-Adha provides an excellent opportunity to reflect on the tremendous contributions that Muslims have made to this country’s rich and diverse heritage. CALGARY – Ottawa may extend its fast-track immigration policy for Afghan translators who help the Canadian Armed Forces and aid workers in Kandahar if troops remain in Afghanistan beyond 2011. 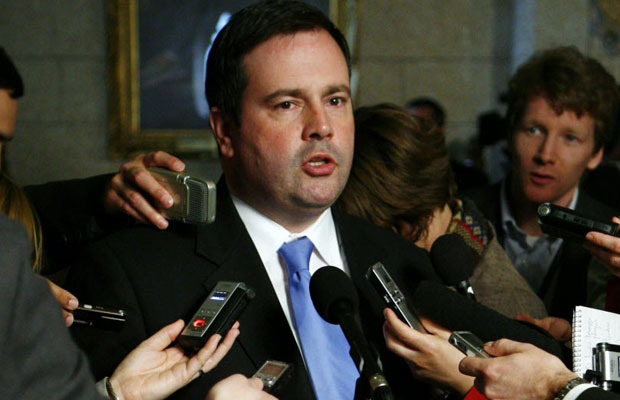 Citizenship and Immigration Minister Jason Kenney said Friday it would make sense to continue the program for as long as such translators work with Canadians. “The basic principle is any Afghan whose life is at risk because they’ve assisted Canadian Forces or aid workers we’re going to give them fair consideration for expedited immigration to Canada,” Kenney said Friday. It was Kenney who originally announced the program to help Afghans who face what he called “extraordinary personal risk” by working with Canadians in Kandahar. The program was scheduled to end in 2011 when Canada was originally scheduled to end combat operations in Afghanistan. But Prime Minister Stephen Harper confirmed Thursday that Canadian troops will stay in Afghanistan to train the country’s military in a non-combat role after the combat mission ends next July. Kenney said his priority right now is to deal with the current batch of applicants seeking to come to Canada. He said extending the program is not out of the question. “We’ll cross that bridge when we come to it. We have applications in the queue we’re reviewing right now. The application process has been slow and cumbersome. There have been about 250 applications so far. Each has to be approved by a committee made up of officials from the departments of National Defence, Foreign Affairs, International Development and Immigration and Citizenship. The committee works with the International Organization for Migration, an intergovernmental agency based in Kandahar. “Partly it’s because of the security situation. We have an interdepartmental committee that’s asked to meet and review the applications and for a while some of the NGO’s had pulled out of the region,” Kenney said. The delays have been frustrating for the translators. Applicants require 12 months service to the Canadian mission and a recommendation letter from a senior soldier or diplomat. They also need to meet standard immigration criteria such as criminal, medical and security screening before being allowed to come to Canada. Interpreters who work with the NATO-led mission live dangerous lives. In the field most wear balaclavas or other face coverings to hide their identity. Some receive threatening late-night phone calls or a so-called “night letter” nailed to their front door warning them to quit working with NATO. Living with such intimidation is a chilling fact of life for the men. “We are in danger. Believe me when we go home we are actually looking all around to make sure nobody’s chasing us,” said an interpreter who goes by the name Mojo to protect his identity. Mojo has worked with Canada for a few years, including translating for Corrections Canada officials that help oversee Sarposa Prison. LONDON, ONTARIO–(Marketwire – Nov. 17, 2010) – The Government of Canada is investing more than $1.6 million to help newcomer youth and their families in London, Ed Holder, Member of Parliament for London West announced today, on behalf of the Honourable Jason Kenney, Minister of Citizenship, Immigration and Multiculturalism. The Settlement Workers in Schools (SWIS) program provides newcomer families with an interactive orientation to the Ontario school system as well as referrals to settlement agencies and other community support services. Settlement workers also engage with students, parents and school staff to increase cultural awareness and sensitivity in London area schools. Since 2005, the Government of Canada has more than tripled its annual spending on settlement services for newcomers in Ontario. For 2010-11, the Government of Canada is allocating $428 million in Ontario for settlement services for newcomers, such as language training, job search workshops and placing settlement workers in schools. As waves of immigrants from the developing world remade Canada a decade ago, the famously friendly people of Manitoba could not contain their pique. What irked them was not the Babel of tongues, the billions spent on health care and social services, or the explosion of ethnic identities. The rub was the newcomers’ preference for “M.T.V.” Montreal, Toronto or Vancouver over the humble prairie province north of North Dakota, which coveted workers and population growth. Demanding “our fair share,” Manitobans did something hard to imagine in American politics, where concern over illegal immigrants dominates public debate and states seek more power to keep them out. In Canada, which has little illegal immigration, Manitoba won new power to bring foreigners in, handpicking ethnic and occupational groups judged most likely to stay. This experiment in designer immigration has made Winnipeg a hub of parka-clad diversity a blue-collar town that gripes about the cold in Punjabi and Tagalog and has defied the anti-immigrant backlash seen in much of the world. Rancorous debates over immigration have erupted from Australia to Sweden, but there is no such thing in Canada as an anti-immigrant politician. Few nations take more immigrants per capita, and perhaps none with less fuss. Is it the selectivity Canada shows? The services it provides? Even the Mad Cowz, a violent youth gang of African refugees, did nothing to curb local appetites for foreign workers. “The license plates say ‘Friendly Manitoba,’ ” said his wife, Hannah. Canada has long sought immigrants to populate the world’s second largest land mass, but two developments in the 1960s shaped the modern age. One created a point system that favors the highly skilled. The other abolished provisions that screened out nonwhites. Millions of minorities followed, with Chinese, Indians and Filipinos in the lead. Relative to its population, Canada takes more than twice as many legal immigrants as the United States. Why no hullabaloo? With one-ninth of the United States’ population, Canada is keener for growth, and the point system helps persuade the public it is getting the newcomers it needs. The children of immigrants typically do well. The economic downturn has been mild. Plus the absence of large-scale illegal immigration removes a dominant source of the conflict in the United States. “The big difference between Canada and the U.S is that we don’t border Mexico,” said Naomi Alboim, a former immigration official who teaches at Queens University in Ontario. French and English from the start, Canada also has a more accommodating political culture one that accepts more pluribus and demands less unum. That American complaint “Why do I have to press 1 for English?” baffles a country with a minister of multiculturalism. Another force is in play: immigrant voting strength. About 20 percent of Canadians are foreign born (compared with 12.5 percent in the United States), and they are quicker to acquire citizenship and voting rights. “It’s political suicide to be against immigration,” said Leslie Seidle of the Institute for Research on Public Policy, a Montreal group. Some stirrings of discontent can be found. The rapid growth of the “M.T.V.” cities has fueled complaints about congestion and housing costs. A foiled 2006 terrorist plot brought modest concern about radical Islam. And critics of the refugee system say it rewards false claims of persecution, leaving the country with an unlocked back door. “There’s considerably more concern among our people than is reflected in our policies,” said Martin Collacott, who helped create the Center for Immigration Policy Reform, a new group that advocates less immigration. Mr. Collacott argues high levels of immigration have run up the cost of the safety net, slowed economic growth and strained civic cohesion, but he agrees the issue has little force in politics. “There’s literally no one in Parliament willing to take up the cudgel,” he said. The Manitoba program, started in 1998 at employers’ behest, has grown rapidly under both liberal and conservative governments. While the federal system favors those with college degrees, Manitoba takes the semi-skilled, like truck drivers, and focuses on people with local relatives in the hopes that they will stay. The newcomers can bring spouses and children and get a path to citizenship. Most are required to bring savings, typically about $10,000, to finance the transition without government aid. While the province nominates people, the federal government does background checks and has the final say. Unlike many migrant streams, the new Manitobans have backgrounds that are strikingly middle class. “Back home was good not bad,” said Nishkam Virdi, 32, who makes $17 an hour at the Palliser furniture plant after moving from India, where his family owned a machine shop. He said he was drawn less by wages than by the lure of health care and solid utilities. “The living standard is higher the lighting, the water, the energy,” he said. The program has attracted about 50,000 people over the last decade, and surveys show a majority stayed. Ms. Howard, the immigration minister, credits job placement and language programs, but many migrants cite the informal welcomes. They came anyway two families totaling 14 people, drawn not just by jobs but the promise of good schools. Every province except Quebec now runs a provincial program, each with different criteria, diluting the force of the federal point system. The Manitoba program has grown so rapidly, federal officials have imposed a numerical cap. Arthur Mauro, a Winnipeg business leader, hails the Manitoba program but sees limited lessons for a country as demographically different as the United States. “There are very few states in the U.S. that say, ‘We need people,’ ” he said. But Arthur DeFehr, chief executive officer of Palliser furniture, does see a lesson: choose migrants who fill local needs and give them a legal path. INVESTOR CATEGORY MORATORIUM TO BE LIFTED DECEMBER 1. PERSONAL NET WORTH REQUIREMENT AND INVESTMENT AMOUNT DOUBLED. The Canadian Immigrant Investor Program supports the Immigration and Refugee Protection Act objective to support the development of a strong and prosperous Canadian economy, in which the benefits of immigration are shared across all regions of Canada by attracting experienced business people and their economic resources to Canada. Candidates for the Immigrant Investor Program must demonstrate business experience and, prior to June 26, 2010, a Personal Net Worth of $800,000 CDN and make an investment of $400,000 CDN in the Canadian economy in the form of a five-year, zero-interest loan to the Government of Canada, which is fully refunded after the five-year period. On June 26, 2010, the Government of Canada imposed a moratorium on new Investor Applications. Now, it has been announced that the moratorium will be lifted on December 1, 2010. As of December 1, 2010, the Government of Canada will once again accept Investor Applications; however, the Personal Net Worth and investment amounts have been doubled. Applicants must have a Personal Net Worth of $1.6 million CDN and they must make an investment of $800,000 CDN in the form of a five-year, zero-interest loan to the Government of Canada, which is fully refunded after the five-year period. Why was this done? According to the Government, thresholds for Personal Net Worth and investment amounts, specified in the Immigration and Refugee Protection Regulations, had remained unchanged since 1999 and were outdated. The relative impact of a $400,000 investment CDN on economic development in 2010 compared to a decade earlier, along with changing client profiles, international competitiveness, and increased provincial/territorial participation in the program, underscored the need for updated Personal Net Worth and investment amounts to reflect todays global wealth. If your eligibility to immigrate to Canada as an Investor was favourably assessed by Abrams & Krochak and you did not file your Application for Permanent Residence in Canada before the moratorium on new Applications was imposed and you meet the $1.6 million CDN Personal Net Worth requirement, you can now proceed with your proposed Canadian Immigration plans. Should you wish to engage our services, please visit http://www.akcanada.com/resources/bus_inv.cfm. We can have your entire Application package prepared and ready for filing on or after December 1, 2010 so that you do not lose valuable time. If you do not know whether you meet the eligibility requirements for the Investor category of the Business Class but are interested, please visit http://www.akcanada.com/assessment.cfm and choose “Business” from the drop-down menu for a free assessment of your eligibility within one business day. If you applied for Permanent Residence in Canada as an Investor before the moratorium on new Applications was imposed, these changes do NOT affect you.